Dr. Galloway’s research and teaching activities are in solid-state devices, semiconductor technology, and radiation effects in electronics. He has published numerous technical papers in these areas (>250) and has conducted research for many U.S. Department of Defense organizations (U.S. Navy, U.S. Air Force, Defense Threat Reduction Agency, DARPA, etc.). For his work, Dr. Galloway has been elected a Fellow of the Institute of Electrical and Electronics Engineers (IEEE), the American Association for the Advancement of Science (AAAS), and the American Physical Society (APS). He has served as General Chairman of the IEEE Nuclear and Space Radiation Effects Conference (NSREC) and General Chairman of the IEEE International Electron Devices Meeting (IEDM). In 2002, he received the IEEE Nuclear and Plasma Sciences Society Radiation Effects Award, and in 2007, he received the IEEE Nuclear and Plasma Sciences Society Richard F. Shea Distinguished Member Award. Dr. Galloway served as Vice President for Meetings of the IEEE Electron Devices Society (2000-2005), as Chair of the American Society of Engineering Education (ASEE) Engineering Deans Council (EDC) Public Policy Committee (2005-2007), and as a member of the ASEE EDC Executive Board (2006-2010). He served as a member of the U.S. Air Force Scientific Advisory Board (2003-2007). 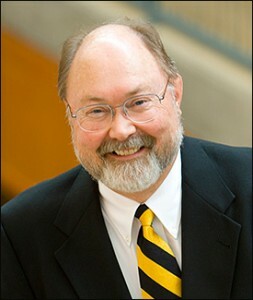 He is currently Chair of the ASEE Engineering Deans Council (2009-2011) and a member of the RADECS Advisory Committee.